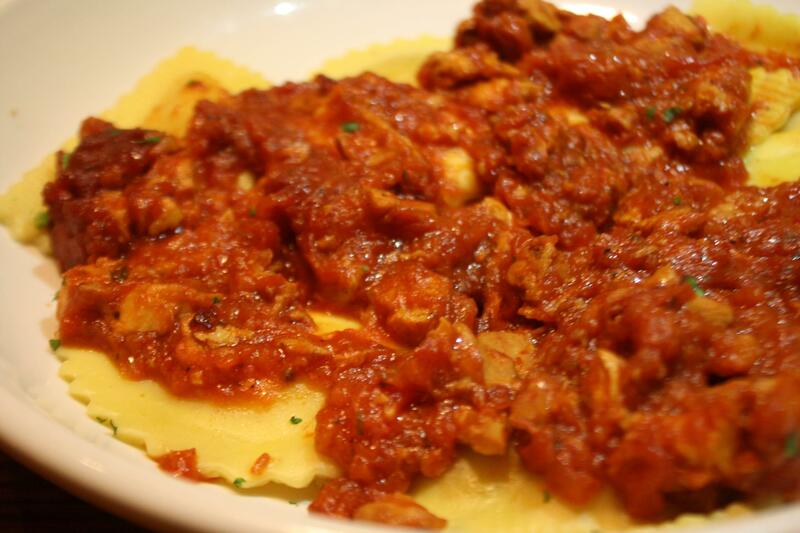 Mezzaluna Ravioli is the Premium Pasta of this year's Never Ending Pasta Bowl. Clocking in at a $2.99 upcharge, it is, proportional to the $9.99 base cost of the NEPB, a significant investment. Is it worth it? Frankly, I don't think so. Your serving size is small, when compared to the cheaper pasta options. Furthermore, more than any other OG pasta, this one's "from a frozen bag" origins are obvious in terms of texture and taste. I don't think I'd order the Ravioli even without factoring in the upcharge, but the extra three dollars removes any hope of this becoming a favorite. Pictured here is Half-Moon - the literal translation of "Mezzaluna". Learn something new every day!